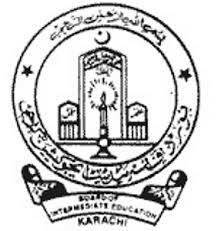 Karachi, Board of Intermediate Education Karachi has announced the complete schedule for the submission of the admission forms and fee for BIEK HSC part 1 & 2 annual exams 2018. BIEK Karachi will conduct the BIEK FA/FSc part I & II annual exams 2018 after receipt of the admission forms and fee from 02-1-2018 to 18-1-2018 without late fee. The candidates are asked to submit their admission forms with the late fee of Rs.500/- from 22-1-2018 to 30-1-2018. The candidates will also send their application forms with the late fee of Rs.1000/- from 01-2-2018 to 13-2-2018. The candidates should read all necessary information in the application forms and also deposit the admission fee in the concerned bank branches within due dates to avoid any complication at later stage.